One of the world’s most troublesome nuisance-biting mosquitoes is perfectly adapted to summer life in southern cities in Australia. 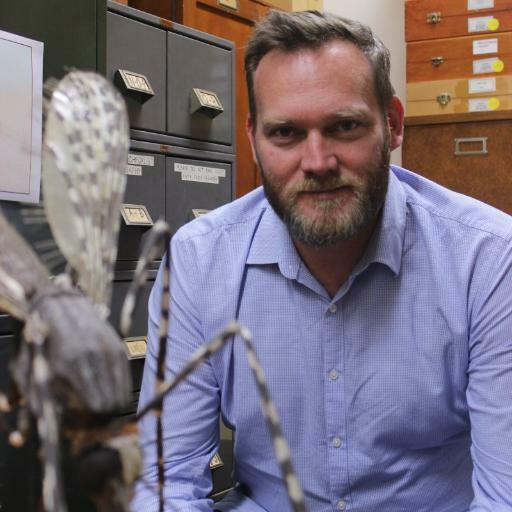 This is bad news for communities in temperate climate regions in Australia that would otherwise be immune from the threats of exotic mosquito vectors of dengue and chikungunya virus otherwise limited to tropical regions of the world. I’ve been invited to speak in the “Managing Current & Future Exotic Mosquito Threats” symposium at the Australian Entomological Society conference to share some of the experiences in temperate Australia regarding exotic and endemic mosquito threats and how the threat of the Asian Tiger Mosquito is being addressed. Australia has annual activity of mosquito-borne disease. Around 5,000 people a year fall ill following a mosquito bite each year in Australia, most commonly due to Ross River virus. These pathogens are generally spread by native “wetland” mosquitoes such as Aedes vigilax or Culex annulirositrs). 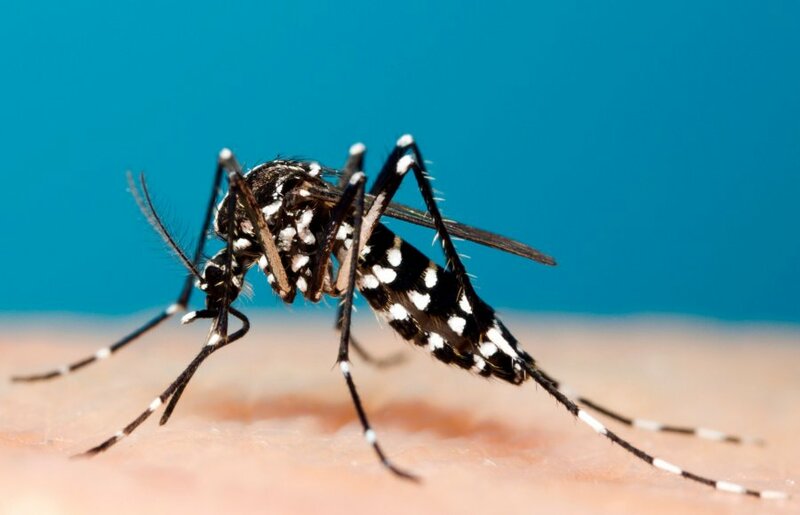 Australia has also had major outbreaks of dengue in the past but the only mosquito in Australia able to spread the viruses, Aedes aegypti, is restricted to far north QLD. It is unlikely to spread to southern cities beyond Brisbane based on temperature change alone but there is another mosquito that may pose a threat of dengue or chikungunya virus transmission in southern regions. The Asian Tiger Mosquito (Aedes albopictus), poses a significant threat to Australia. It was discovered in the Torres Strait in 2005, having thought to have hitchhiked on fishing boats from Indonesia. Although the mosquito hasn’t yet managed to set up home on mainland Australia, its a more likely a question of when, not if, this mosquito will make its way here. The container-inhabiting (not wetland living) mosquito has already hitchhiked to Europe and North America with eggs carried with people and their belongings. Movement of people, not shifts in climate is the biggest risk. Should it reach one of our major southern cities, there is little doubt that mosquito could become a persistent summer pest and possible public health threat. The way we respond to water shortages in our cities, by increasing water storage around our homes, may set the scene for this mozzie to move in. Once the mosquito is established in our cities, all we need are travellers to bring in the viruses. Travellers introduce dengue virus into Far North QLD every year. Last year Japan experienced its biggest outbreak of dengue in over 70 years thanks to a traveller introducing the virus to local mosquitoes in downtown Tokyo. This Tokyo outbreak of dengue has implications for local authorities in Australia. In my presentation at the Australian Entomological Society conference, I’ll highlight some of the issues to consider when assessing the risks posed by exotic mosquitoes in New South Wales as well as outline some of the problems local authorities may have to face when dealing with these mosquitoes that differ from the current focus of mosquito and mosquito-borne disease surveillance and control strategies. (1)Department of Medical Entomology, Pathology West – ICPMR Westmead, Level 3, ICPMR, Westmead Hospital, Westmead NSW 2145 Australia; (2) Marie Bashir Institute of Infectious Disease and Biosecurity, University of Sydney, NSW 2006, Australia; (3) School of Pathology and Laboratory Medicine, The University of Western Australia, Nedlands, WA 6009, Australia; (4) Virology, Public and Environmental Health, Forensic and Scientific Services, Department of Health, Queensland Government, Brisbane, QLD 4108, Australia. Mosquito-borne disease management in Australia faces challenges on many fronts. Home growth threats posed by endemic mosquito-borne pathogens (e.g. Ross River virus (RRV)) may increase with a changing climate but exotic mosquitoes and pathogens are an emerging threat. In the absence of a national strategy to address these exotic threats, local authorities must develop regionally specific surveillance and response programs to identify and respond to exotic mosquito incursion. The Asian tiger mosquito, Aedes albopictus, poses the greatest risk to temperate regions of Australia due to their close ecological associations with urban habitats and ability to transmit exotic pathogens (e.g. dengue viruses (DENV) and chikungunya virus (CHIKV)). The mosquito is widespread in local regions, has been detected at international ports and, given the increasing frequency of local travellers to regions where this mosquito is abundant, it raises the potential that an incursion into metropolitan Sydney in the coming years is probable. When this happens, what is the likelihood that this mosquito becomes established? Laboratory studies have confirmed Ae. albopictus could survive in the egg stage under climatic conditions typical of a Sydney winter. Despite the endemic mosquito, Aedes notoscriptus, sharing the same ecological niche to Ae. albopictus, cohabitation studies demonstrated that no interspecies competition would act to limit the local spread of Ae. albopictus and the mosquito could proliferating in the summer. Critically, vector competence experiments have demonstrated the ability of Ae. albopictus to transmit endemic pathogens and, given their propensity to bite humans, could contribute to human-mosquito-human outbreaks of RRV in urban areas of NSW, complementing the enzootic vectors that currently limit transmission to the metropolitan fringe. Local authorities need to develop a multiagency strategic approach to surveillance concomitant with strategic response to reduce the pest and public health threats associated with exotic mosquitoes.